The weather may be cold, but the transformations were red hot! The polar vortex may have hit the Plaza, but that didn't stop two brave ladies from standing outside in the cold for a chance to get glamorous Ambush Makeovers. Style expert Jill Martin and celebrity hairstylist Louis Licari found two candidates who were ready to trade in their coats and hats for glamorous dresses and jewels. And while the weather might be frigid, the transformations were hot! 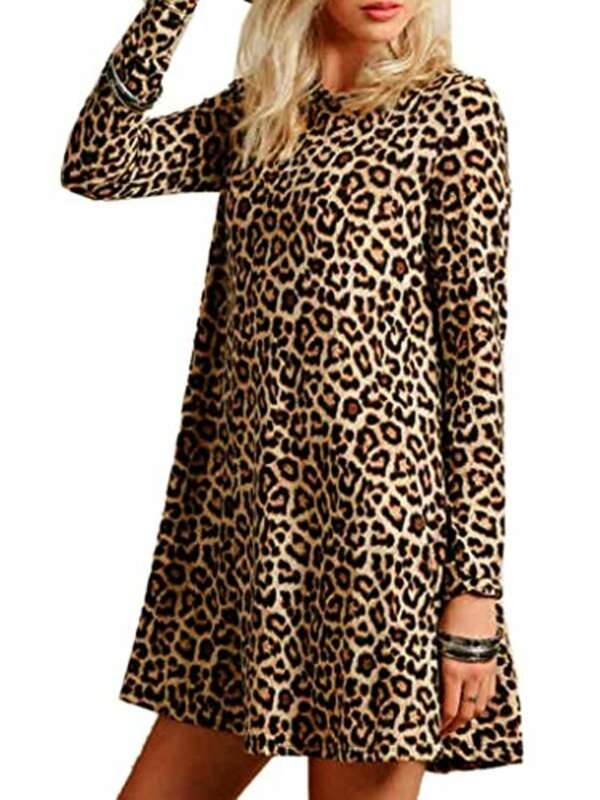 Read on for all the details on the leopard dresses, beaded earrings and cold-shoulder tunics that helped complete the look. After watching Ambush Makeover every week, Julie Rasmussen decided to celebrate her first time in New York by visiting the TODAY Plaza. The mother of four and grandmother of 9 (with another on the way!) was thrilled at the chance to be pampered for the morning. Martin picked this long-sleeved shift from H&M for a little pop of leopard. A tone-on-tone print like this is a less intimidating way to embrace the wild print, and the sleek silhouette makes it appropriate for both work and a night on the town. For a similar look in an even more relaxed fit, this dress from Amazon is a great option. The a-line silhouette would be perfect paired with a black over-the-knee boot. 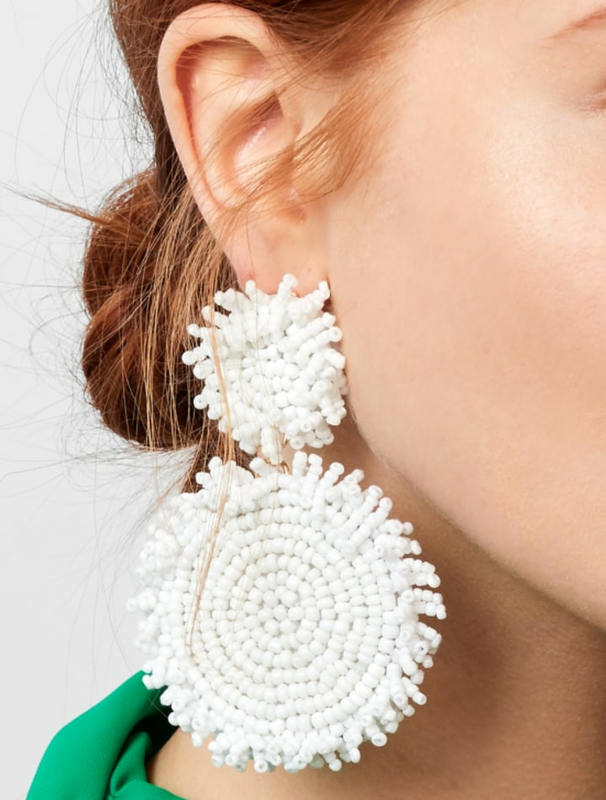 To top off the look, Martin picked these beaded drop earrings. The monochromatic palette is versatile enough to wear with almost any outfit, and they also come in coral, gray, mint and rose gold colors. 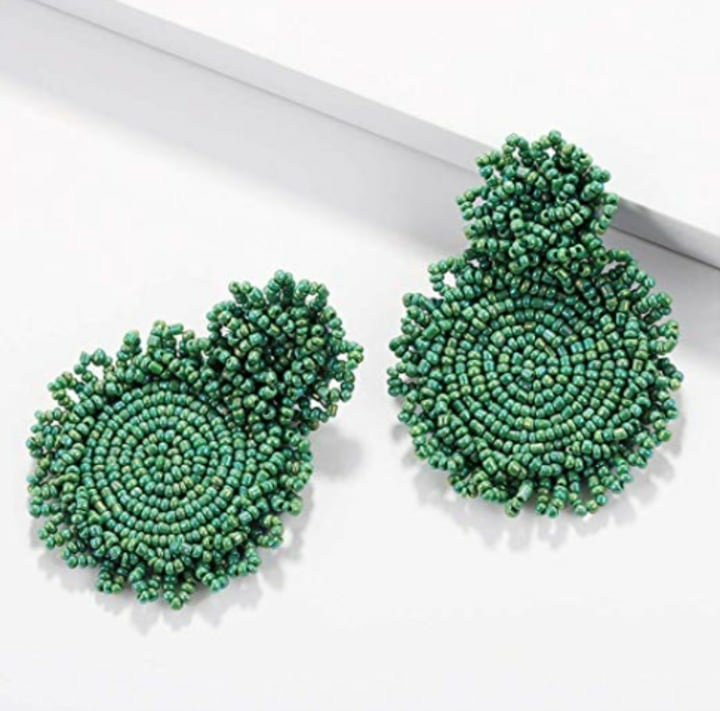 You can also find a pair of similar earrings on Amazon in green, purple, blue and tons of other fun colors. Chelsea Brents waited out in the cold for hours just for the chance to get picked for an Ambush Makeover — and we were thrilled to grant that wish! The mom of three is celebrating her 30th birthday in New York with her husband, so Jill wanted to give her a look worthy of the big day. If this cute going out top is any indication, we'd say she knocked it out of the park! This "cold-shoulder" tunic is such a pretty pattern and can easily be dressed up with a pair of heels for a date night look. Balance out the blousy silhouette with a pair of skinny jeans for a super sleek look! 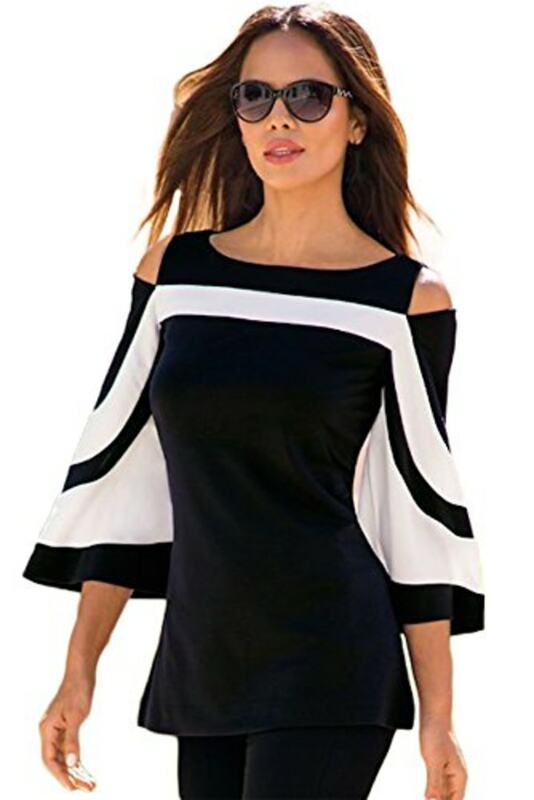 Amazon also carries a similar top with cutouts on both shoulders and a pattern that's focused more on the sleeve than the bodice.